When you say Chanel, there’s only one adjective to describe the luxury brand, marvelous. 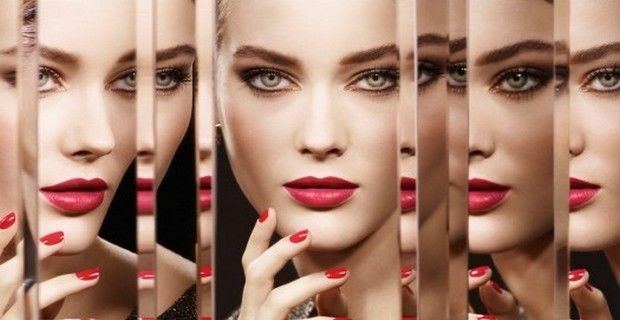 Whether it’s their fashion, accessories or makeup, the French maison always dictates the law regarding trends and even their new 2013 Holiday makeup collection ‘Nuit Infinie’(infinite night) lives up to the high-end and refined standards that the brand always sets. The new Nuit Infinie collection also confirms the big trend in metallic shades that we’ve seen not only on the runway, but also in other makeup collections for this 2013 Fall and Winter. Chanel has concentrated on nudes and browns nuances for cheeks and luxurious shades for lips, while the eyes are in the spotlight, with stunning palettes of color along with the release of a new and exciting mascara top coat. When it comes to eye shadows, the new Chanel collection offers two options: the Ombres Matelassées or Illusion d’Ombre. The Ombres Matelassées is five-color palette that reinterprets the iconic Chanel quilting and features shades that range from soft beige to rich purple with a matte and pearlized texture effect, while the Illusion d’Ombre offers a shimmering texture. These single eye shadows that are available in thirteen fabulous iridescent and luminous shadesm and contains an innovative gel texture which allows the product to worn as eye shadow or eyeliner, and eye shadow also includes a specially designed shadow/liner brush that was developed specifically for this new formula. The eyeliner called Ligne Graphique is long-lasting and water resistant and offers precise lining and shiny definition and is available in four shades, black, platinum, purple and bronze. The Irise mascara is a gel top coat was designed to be worn alone or over black mascara and comes in an iridescent bronze/platinum shade to catch the sparkling lights of the holiday season. For coverage, Chanel offers the Poudre Universelle Libre which is natural finish loose powder with a sheer matt finish that evens out the skin tone and with its photo-reflective pigments helps disguise imperfections without emphasizing lines. It is available in five different shades, and you can add a touch of Joues Contraste blush for a healthy glow, that can go from natural to dramatic, with 12 nuances to choose from. Chanel has gone all out on their nail polishes with their 58 shades of their state-of-the-art Le Vernis. Its formula strengthens and moisturizes nails and offers long-wearing, high-shine, chip-resistant colour and the product is formaldehyde-free, toluene-free and DBP-free. There are two lipstick lines: Rouge Allure which is a new and luminous formula with concentrated, ultra-thin pigments and has intense colors that offer full coverage and a satin finish and is available in 10 shades, and more shades are also available for the Rouge Allure Velvet lipstick that has a velvet matte finish. The “Nuit Infinie” limited collection is available on the Chanel website and at makeup counters worldwide, with prices ranging from $36 to $80, while the entire collection – 11 items - is available for $440.